Kuroiler Chicken website is owned and managed by Pop Enterprises, an IT business legally registered in Kenya. Our biggest aim is to help farmers in Kenya and Africa to get quality products online without the fear of getting conned or losing their money or products. We started Kuroiler Chicken website with great interest to help farmers who want to farm Kienyeji chicken especially the Kuroiler breed, Rainbow and Kari improved which are a great choice for business. The Kuroiler breed especially is giving small scale farmers an opportunity to earn a living and even grow to become large scale farmers. Connect with us to get original f1 Kuroiler chicks, mature chicken and fertilized eggs from honest and genuine farms. We also supply incubators for Kuroiler farmers who want to hatch eggs for expansion or sale of chicks. 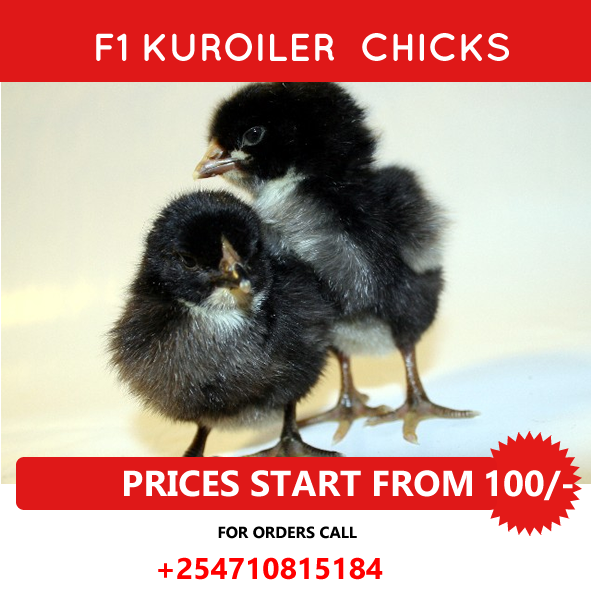 Get Quality F1 Kuroiler Chicks or Rainbow anywhere in Coast Kenya. 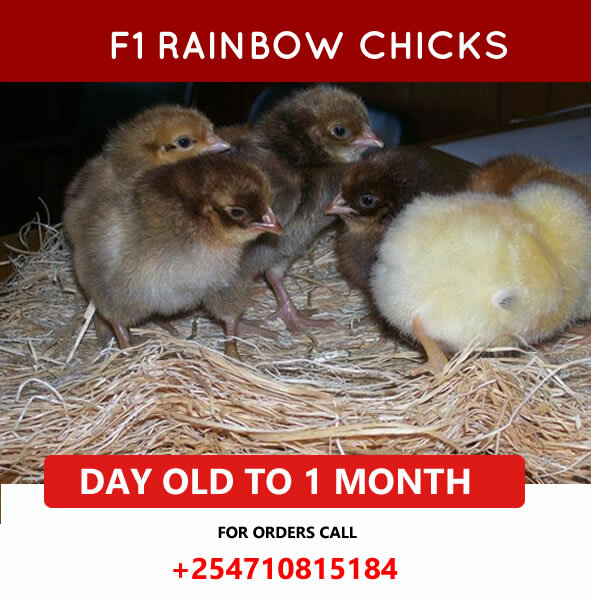 Coast Kenya F1 Kuroiler and Rainbow Chicks day old chicks Deliveries every Thursday. Book From Saturday all the way to Tuesday to Get your chicks at your door on Friday (Full Booking a week before). Also available are Week olds, two weeks, 3 weeks and Month old chicks. (Book Early). Get your chicks in Mombasa, Voi, Ukunda, Mtwapa, Malindi, Kwale etc. Kuroiler is a hybrid breed that was developed in India by Vinod Kapur of Keggfarms Private Ltd and introduced in the market in 1990’s. The name was derived from ‘Keggfarms’, ‘curry’ and ‘Broiler’. Kuroiler has been successfully exported to Africa – Uganda and other countries including Kenya and it is slowly gaining popularity due to its value for meat and eggs. Kuroiler eggs are big with yellow york. To get chicks, you will need to connect with us and we will advice on availability, cost and delivery depending on where you are. We will also advice on payment procedure when you make your order. We especially encourage our customers to give us feedback on our services so that we can improve and ensure smooth operation and satisfaction to our clients. kuroilerchicken.com Copyright @ 2018, All rights reserved, site by www.poponlinesolutions.com, owned and operated by People of Progress (POP) Enterprises.